With a brand-new IQ Tec P mirror from the specialists at Busch and Muller the new Edelux 2 leaves the older model literally in the shadows. The light field is twice as wide and focused mainly in the distance, putting most of the light further down the road allowing you to better assess whats coming, whilst still not leaving a 'dim' patch infront of the rider. Available in two different cable lengths; 60cm, 100cm have the coaxial connectors included and pre-fitted. Unfortunately this is only compatible with SON hubs with the two prongs. Can you use this with an Ullman Powerstation or EWerk? Can you piggy back into the coaxial connector? As we have never tried this we cannot say fr certain whether this will work or not im afraid. Does this have an on/off switch? 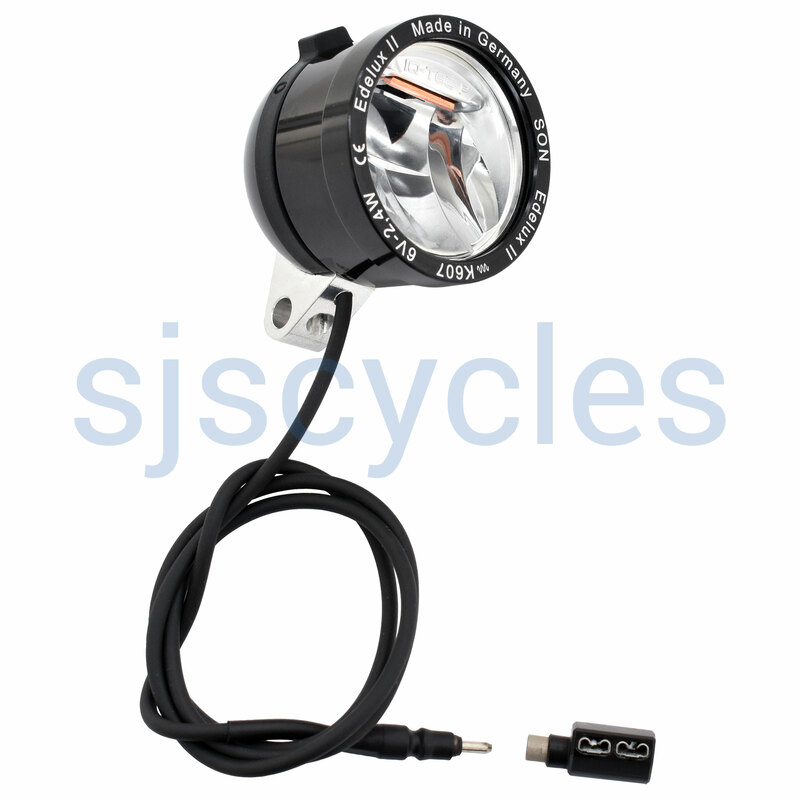 I want to be able to run a usb powered battery pack on my bike and have read that the best way to do this is to piggyback the connectors and turn the light off when I want to charge my USB, and turn it on to draw the power for the light. Is this the case? Yes this light has an on/off switch.